Denzel Washington is the modern day Cary Grant. He carries himself with grace and dignity. He is charming, affable, and is one of the few cinematic icons that is worthy of that title. Denzel was honored at the 32nd Santa Barbara International Film Festival, receiving the Maltin Modern Master Award with a two-hour question and answer with Leonard Maltin. It was incredibly joyous to listen to Denzel speak about everything from SAINT ELSEWHERE to FENCES. He was very candid, yet gracious when he spoke about himself and his early career. He frequently lauded the late Bruce Paltrow, producer of SAINT ELSEWHERE, who released him early from his television contract so he could star in A SOLDIER’S STORY and CRY FREEDOM. He spoke in a very fond and sentimental way about Paltrow, attributing to his generosity that allowed Denzel to become the star he is today. Denzel spent a lot of time talking about his childhood and how he accidentally found his calling as an actor. He spoke about how he was continuously told he was a natural on stage and how that led to his ego being inflated. He learned early on that his natural talent as an actor could only get him so far, so he constantly studied and practiced his craft. He spoke about his relationship with Spike Lee and how no one in Hollywood had employed and birthed more black actors and crew in Hollywood at the time. Denzel’s son now works for Lee as an assistant, and Denzel’s son told his father that Spike truly has earned his name. He credits Lee with forcing him to become the actor he is today, that no one had pushed him and challenged him as much as Spike did. Denzel just won best actor at the Screen Actors Guild, and he is poised as the front-runner heading into the Academy Awards at the end of the month. 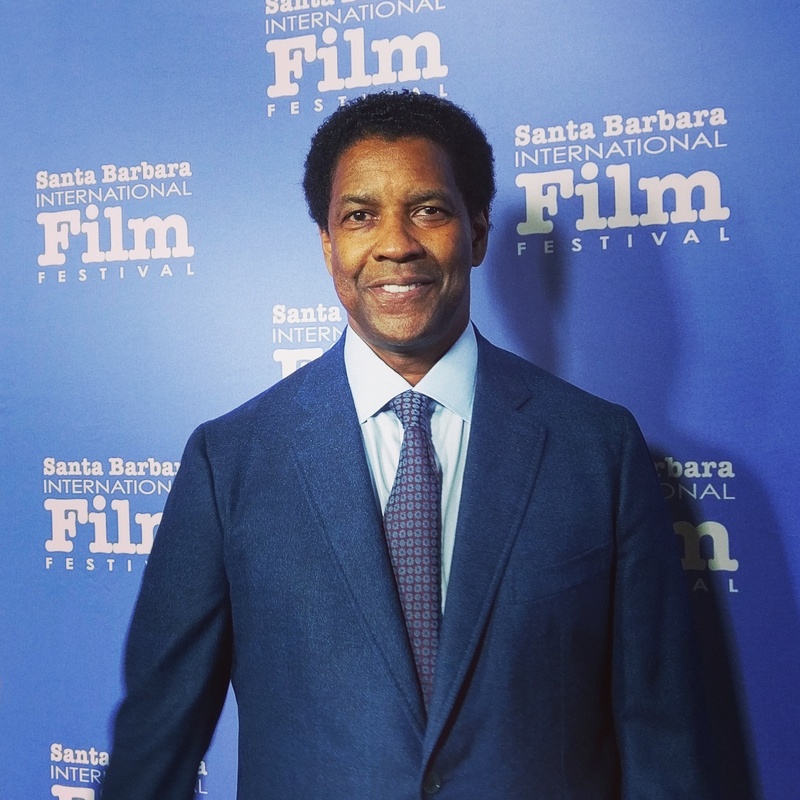 Executive Director of the Santa Barbara International Film Festival, Roger Durling, called Denzel’s turn in the film the pinnacle of his career. Durling is correct, Denzel is a marvel in the film, and he knows when to yield the screen to other performers in the film. His subtlety in the film allowed Viola Davis to outshine Denzel, in his most Denzel performance. Denzel is one of the few actors left in Hollywood that not only draws the masses to the theatre, but he also is the epitome of a role model. To say that Denzel is one of the greatest actors ever does not do him justice. He is more than an actor, he’s more than a director; Denzel Washington is an iconic titan.